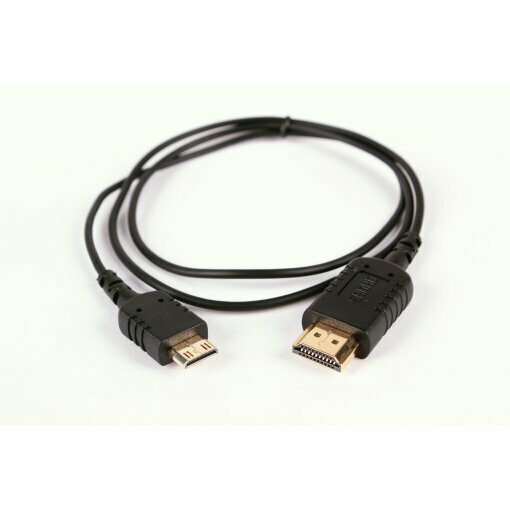 Goodcable for DJI Ronin-M. Very flexible and thin. I would prefer if it had an agle on the mini-hdmi, there would be more clearence between the camera and the Ronin-M but it still works well on a canon 5D Mark III.